This is a fun extension activity for the students to do. 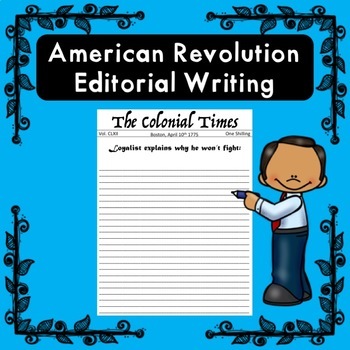 The students will put themselves into the point of view of a colonist during the revolutionary war and explain why they are fighting on the side of the patriots or why they choose not to fight and side with the king. 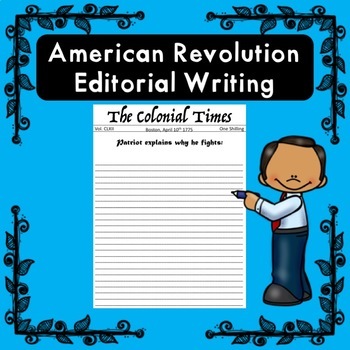 The students should reference events leading up to the revolutionary war and use them to make their arguments.